ISE® Talent is dedicated exclusively to bringing superior information security leadership talent to our clients’ organizations. More than just a search firm, ISE® Talent serves as a trusted partner in identifying, evaluating, recruiting, and presenting top level candidates that fit our client organizations' unique requirements. Building on more than two decades of industry knowledge and an expansive network of trusted connections, we understand our clients' needs and provide transparent, effective, and responsive searches to place superior IT security professionals with our Information Security Executive® Retained Search services. Whether you need a highly credentialed CISO to oversee your organization's security strategy or a team of high caliber InfoSec experts, ISE® Talent has the quality experience, industry knowledge, and proactive approach necessary to help you build a robust security organization. In addition to our retained search and talent management services, our ISE® Vantage programs provide enterprises with exclusive access to a team of highly credentialed IT business veterans’ expertise for board engagement preparation, leadership consulting and coaching, strategic knowledge sharing, on-call services, and specialty speaking opportunities. ISE® Vantage also offers interim CISO placement for companies searching for a permanent CISO. Our team of highly accredited and respected ISE® Industry Experts has close to 200 years of combined knowledge and experience in the industry. A 100% woman-owned business, ISE® Talent is a division of T.E.N., the leading national technology and security executive networking firm that facilitates peer-to-peer relationships between top executives, industry visionaries and solution providers. The flagship program is the ISE® Program Series and Awards, which is North America’s premier recognition and networking program for security professionals. CEO & President of T.E.N. 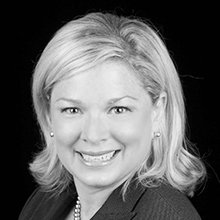 Marci McCarthy has over 20 years of business and marketing experience within the Information security, including founding T.E.N., an award winning technology and information security executive networking and relationship-marketing firm. She is also the founder of the ISE® Programs, which has been the premier recognition and networking program for security professionals in the U.S. and Canada for over a decade. McCarthy was also the 2012 recipient of a 4th Congressional District of Georgia citation for fostering greater visibility and professionalism for the IT security industry.